A simple style to start off. Double the braids, even better. An updo for the ages. The half updo we all love. It works even for the shortest hair. Keep your braids neat for work. Bold, chic, and easy to recreate for the office. For formal events and even the office. Simple updo styles for work and beyond. There is one thing universal for all women, and that’s that messy hair at work can get distracting! It’s half of the reason we love updo hairstyles for work. We also love them because they look instantly chic and put together. Updo hairstyles for work are basically the best thing ever. Today we’re covering our favorites that are easy enough to do before work, and go with any hair type. A simple style starts off your workweek on a high note. 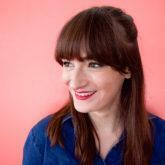 One of our easiest styles is great for holding back bangs. Whether you are growing your bangs or just want them tucked away for a day, this style is your best bet. Start with a deep side part, and section off the front two inches or so of your hairline. Braid this section all the way from one side all the way to the ends. Then, pull the rest of your hair into a top knot and secure in place. Use the braid to cover the bottom of the bun and pin into place. 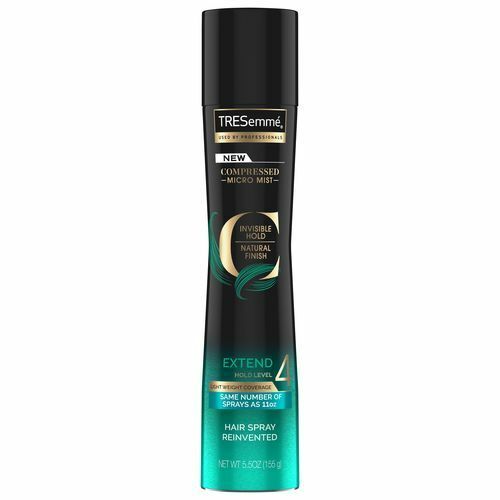 When you’re all done, set your style with TRESemmé Compressed Micro Mist Hairspray Extend Hold Level 4 to keep your style in place from 9 to 5. 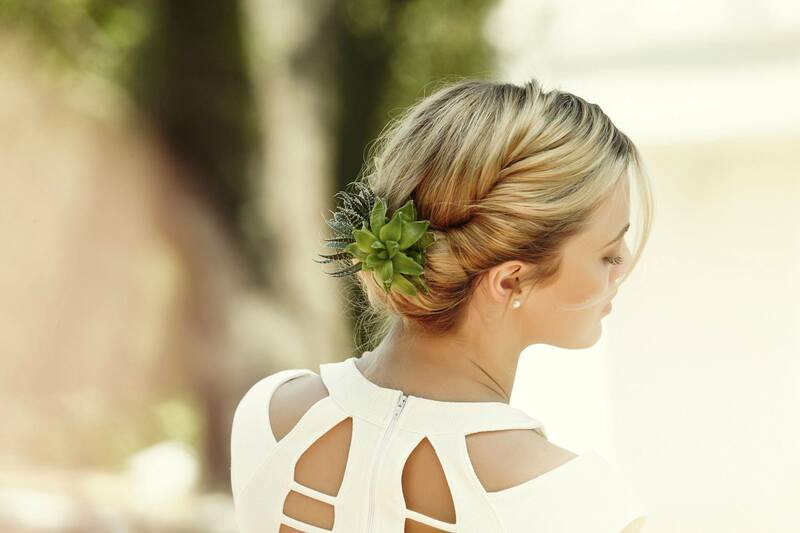 The prettiest twisted updo (sans the accessory) can brighten up any given Tuesday. 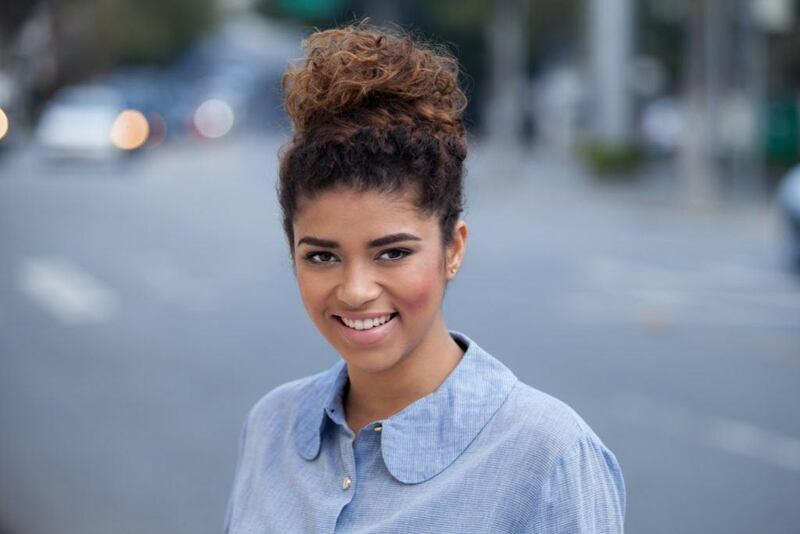 We love how gorgeous the croissant bun looks on both straight and curly hair. This style really just takes tucking and pinning your hair into place. You can make it even easier by using an elastic headband to guide your twisting. Check out how this cool this style looks on naturally curly hair. Live succulents totally optional for your workweek! If your hair is a good inch below your collarbone or longer, you can create this pretty stacked braid look. Start off by parting your hair all the way down the center. You can French braid it all the way back, or you can do a cool fishtail braid! 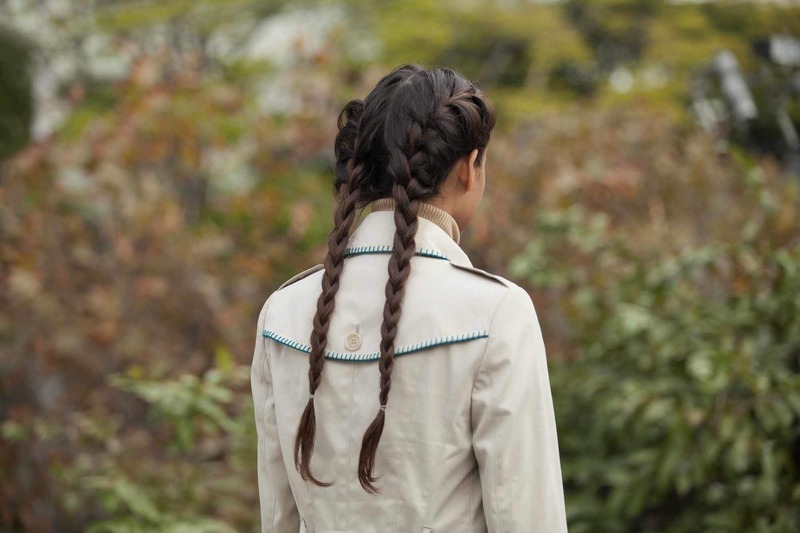 Whichever braid you choose, plait all the way down to the ends of your hair and secure with a mini hair elastic. 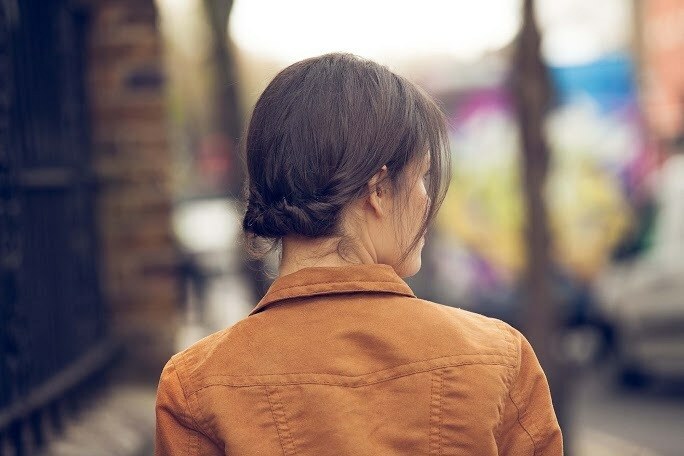 Finish up this style by pinning the braids to the nape of your neck, stacking one braid on top of the other. The beehive is an updo for the ages. How great is this ’60s inspired style? We love both full bouffant updos and bouffant half-updos. Get this style by adding volume to your roots all over. 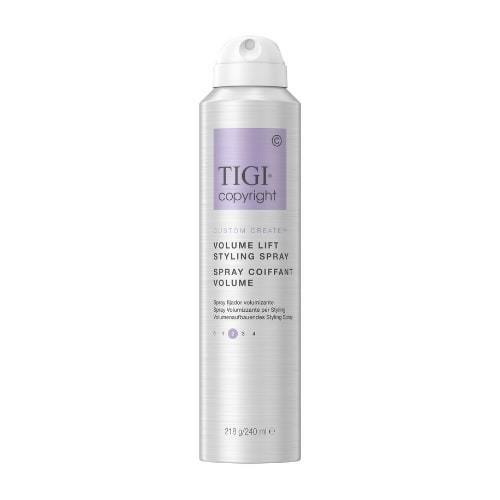 You can use a root booster like TIGI Copyright Custom Create Volume Lift Styling Spray, or tease your roots. Then, you can twist and pin your hair up around the nape of your neck. Finish off this style with a thick headband to emphasize the sweet ’60s look. 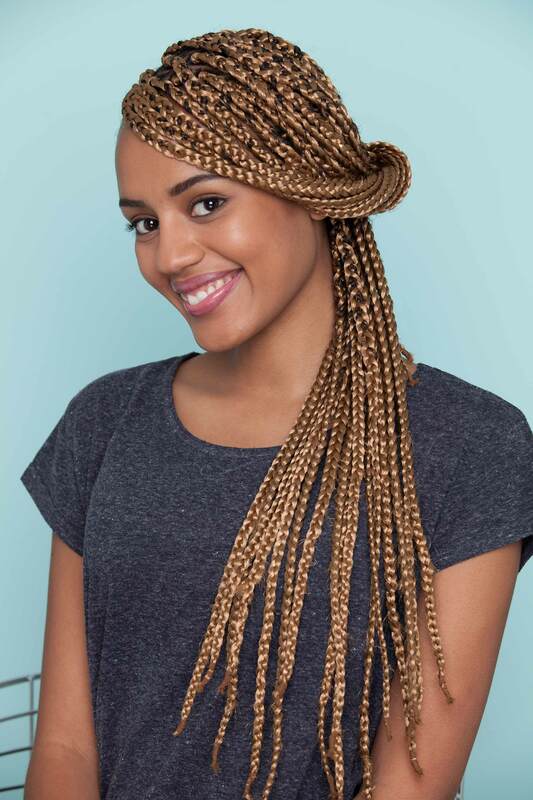 The half updo we all love works with box braids too. Twists are our favorite way to take an everyday style and make it more interesting. If you love wearing your hair in a half up ponytail, jazz it up with a twist! Create a deep side part and fashion the front section of your hair so it crosses your forehead. When you reach your ear, start creating a twist with that top section of your hair. When you have one or two good defined twists going, grab the rest of your hair that you’d normally wear in a half up style, secure in a bun and swish all the rest of your hair around your shoulders. This look works even for the shortest hair. 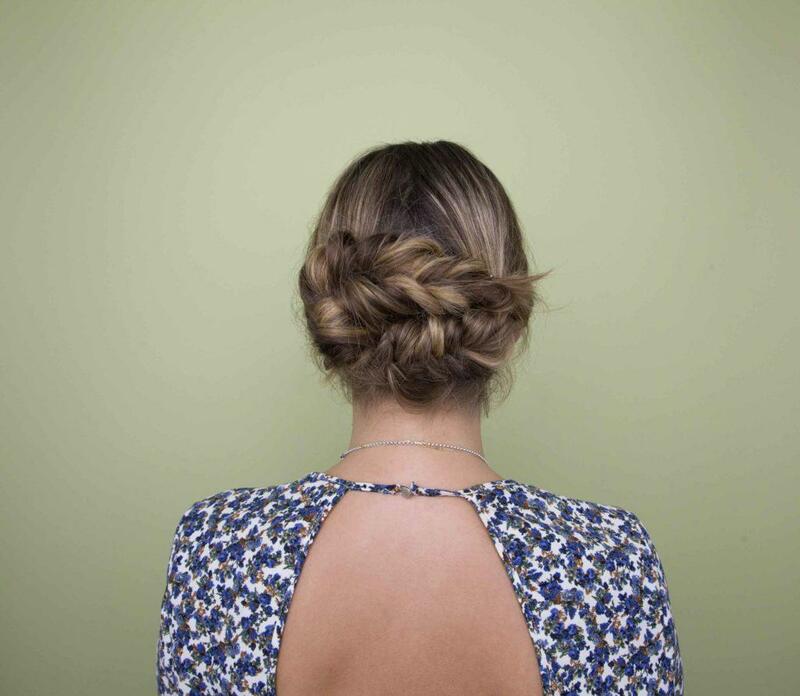 For a quickie style, create this pretty triple bun updo. Split your hair into three even vertical sections. Take each section in turn and create a bun at the nape of your neck. This style is particularly great because it works on even very short hair. To finish off this style, add some extra shine! 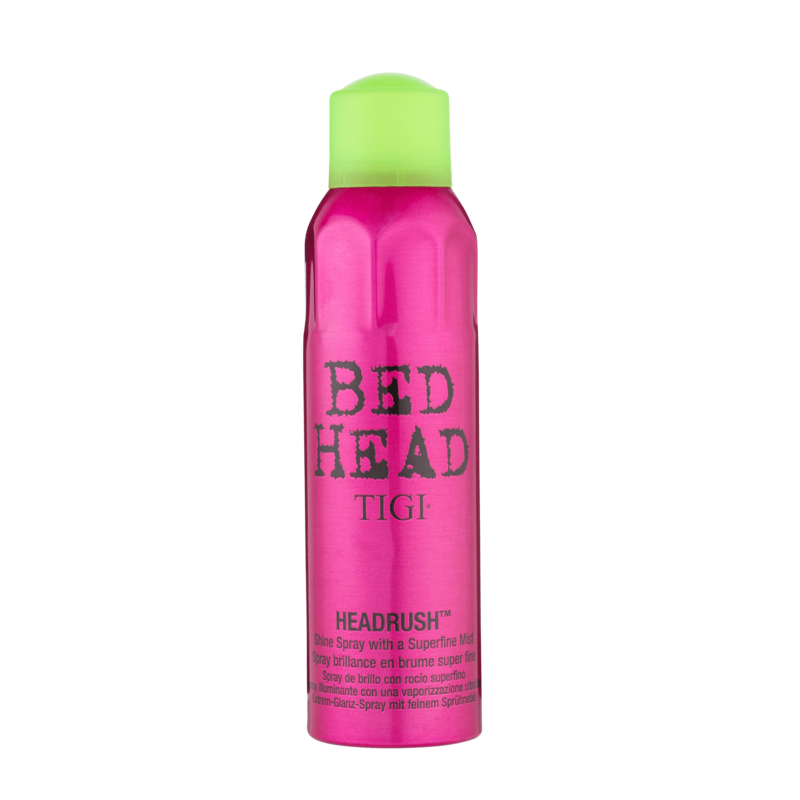 We like to mist over styles with Bed Head by TIGI Headrush Shine Hairspray. It’s that little extra oomph simple styles need. Boxer braids are totally appropriate for work. Create a loose braid on each side of your hair and fasten the ends with a hair elastic. If you take a look around your workplace, you may notice that a lot of women aren’t afraid of showing their true personality. This can be with haircuts or even color. Pink creates a bold statement that we can get behind. 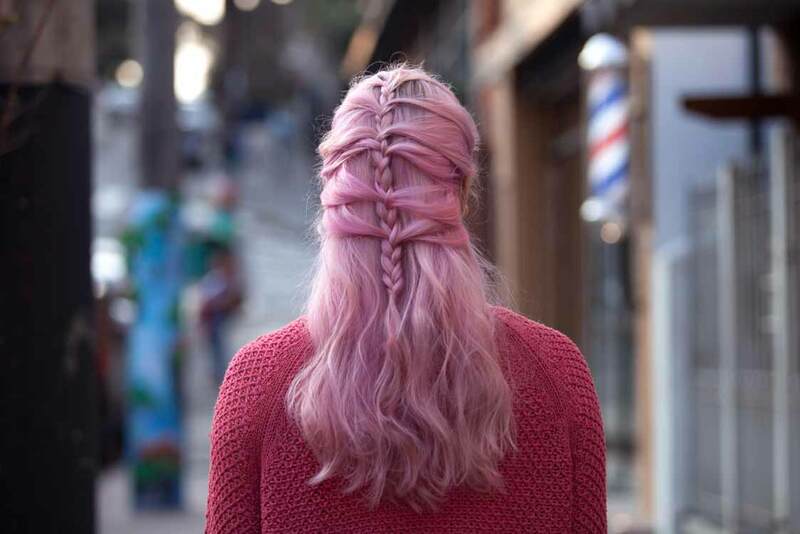 Style yours with a chic mermaid braid. 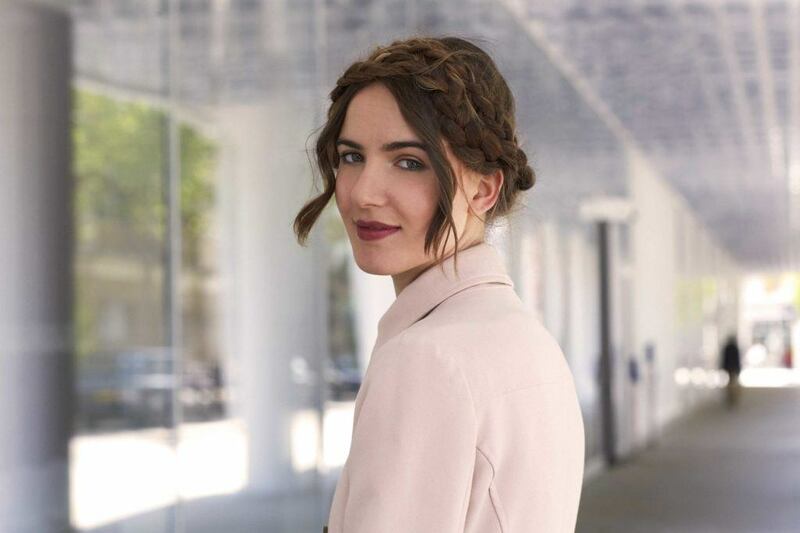 Milkmaid braids are great for formal events, and they also can be worn at the office. For a more playful look, add tendrils to your style. Are you that girl that wears a ponytail to the office every day? 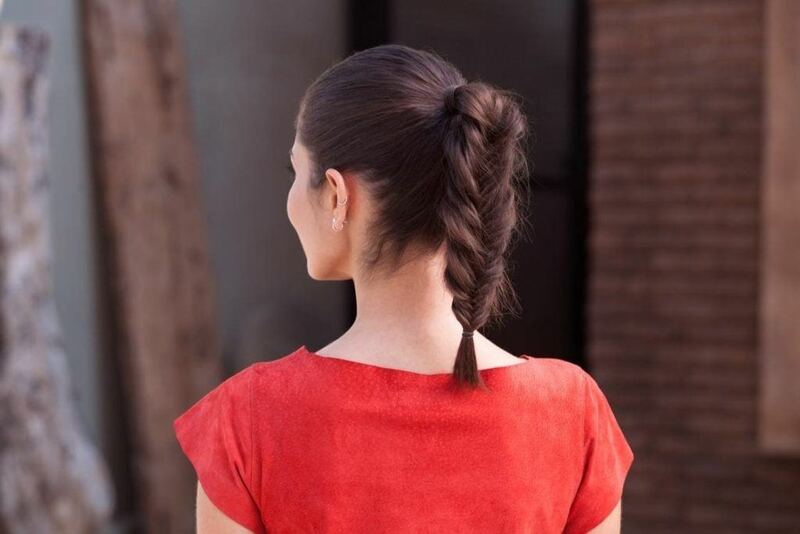 Switch up your look by adding a fishtail braid into the mix. We’re pretty sure your co-workers will notice the change—not that you need credit from anyone, anyway. Braided styles for work to try!